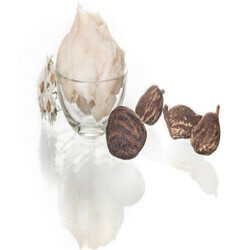 Shea butter is extracted from the nut of the Shea Tree. It is yellow in colour. It is of African origin. 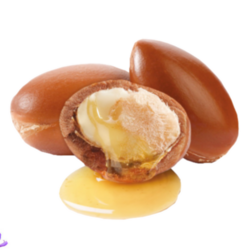 Shea butter is a gentle and effective moisturiser. ... We useshea butter in a number of nourishing creams and lotions. The butter is the ivory-coloured fat that's extracted from thenut of the Vitellaria tree (Vitellaria Paradoxa), which is similar to an oak, and usually grows wild. Shea butter is composed of five principal fatty acids: Palmitic 4%, Stearic 41.5%, Oleic 46.5%, Lanoleic 6.5%& Arachidic.1.5%. It has also phenolic compounds and are known to have antioxidant. Shea butter is obtained by pressing and crushing kernels (seeds) from the shea nut tree (Butyrospermum parkii) by pressing. The resultant product is then refined. Crude products are not offered for sale. Our clients can avail from us Shea Butter Refined that is accepted in the market for its medicinal and moisturizing properties. It is hygienically processed at the manufacturer’s end to achieve a high level of impeccability. We ensure the pure state of this Shea Butter, which is used as a key ingredient for preparing super soft soaps, lotions and creams.